Iron Dog 2017 will go down in history as a challenging and rough race for all involved. Injuries where sustained from day one until day six and every day in between. The perseverance, desire to overcome and all out stubbornness to complete their goal is clear in each racer. 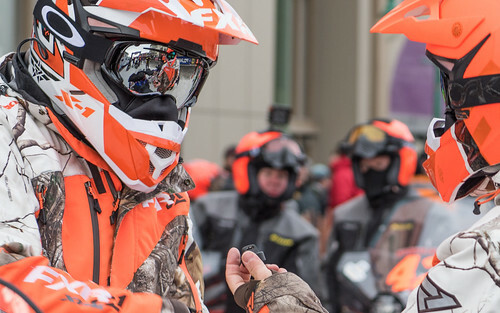 This 2,000+ mile race takes endurance, preparation, skill, training and a fair amount of luck. The men who where injured in 2017 pushed through tough odds. Some finally having to stop because of physical limitations, others where able to continue on to the finish line. All are successful and men to be admired. Sunday morning February 19, 2017 35 Pro Class Race teams left the starting line. 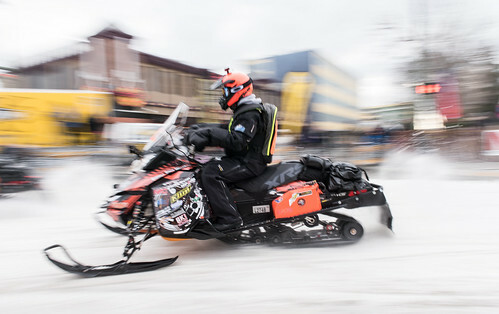 Shortly after leaving the line Team 12, Jason Moore and Robert Strick, where back in Big Lake repairing their sled after Jason cartwheeled multiple times on the trail near Flat Lake. He came away with just a few bruises and they where out on the trail again as soon as repairs where made. Unfortunately for Team 12 their journey came to a close shortly after returning to the trail when Robert came off his sled at Big Swamp and landed on his shoulder. After catching his breath, they proceeded on down the trail, but due to severe pain and having to drive with one hand they made the hard decision to scratch. Racers continued moving on down the trail and challenges where seen by all. Team 27 Tyler Drake and Shannon Jenkins came into Shell Lake in full race mode, and caught a ski sending Shannon into a tree. His left shoulder caught the force of the collision and resulted in ripped muscles and deep bruising. They continued on through McGrath and on into Ophir but the pain became too great and they where forced to scratch in Ophir. Team 16 began the Iron Dog with previous injuries and didn’t make it far down the trail before more injuries were added to the list. Nick Olstad was riding into Puntilla when he hit a log. His crash caused a dislocated shoulder and broken shoulder cap on his left arm. With over 1800 miles to go in the race Team 16 kept on racing. Sometimes it is of no human error that causes a team to be forced to scratch. Unfortunately for Team 18 Andrew Zwink, he caught a nasty case of the flu and couldn’t continue on down the trail. Andrew did not want to stop, but the effort of racing down the trail sick to your stomach pushed him and team mate Eric Watson to make the tough decision to scratch. Just 72 miles from when the trail turns and heads towards the coast near the Poorman checkpoint two teams met each other in a head on collision. This is the one section of the trail where there is two way traffic. Team 5 passed Team 39 right outside of Poorman and continued on to fuel in Poorman then turned around to leave the checkpoint. All the racers knew the dangers of this portion of the trail and were alert to their surroundings, when Team 5 came around the corner and saw Team 39 approaching them both teams attempted to swerve and avoid each other. Unfortunately the attempt was not successful. Jerrod Vaughn was leading Team 5 and his sled was completely totaled. He came away with an injured wrist and ligament damage. Team 39 was mostly unscathed from the accident. Chad Dow did not even realize he was injured. “I made sure the ski’s where pointed straight down the trail and away we went.” It was not until the next day when Team 39 was forced to scratch. Team 22 Dieter Strobel and Kurt Steiner came from North Dakota and Minnesota just to reach the start line. On the way to McGrath a hole was blown in their cooler. They continued into McGrath towing in. 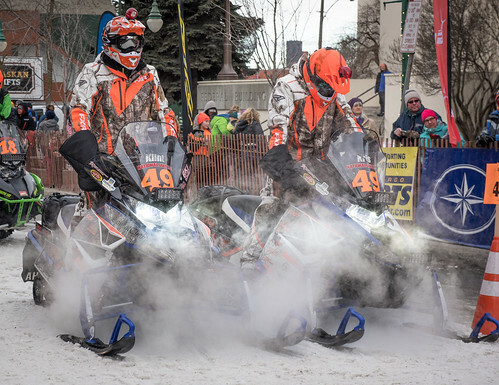 Due to working on their sled in temperatures -35 F and colder Kurt Steiner received severe frostbite on his thumbs. They kept moving forward into their layover in McGrath. They came off layover and raced on to Galena. Only in Galena, after blowing another belt on the ice did they decide for the safety of Kurt, to scratch. 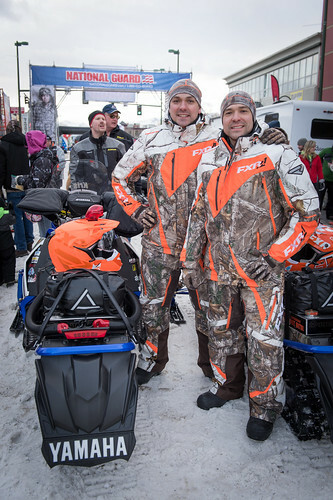 Team 31 Tim and Remington Lessard where running a phenomenal race until they hit a rough spot outside of Unalakleet and Tim was thrown from his sled. He doesn’t remember much from around that time, but his helmet shows signs of impact. The concussion he sustained forced them to scratch in Unalakleet. One of the few teams from rural Alaska in 2017, Team 19, raced a phenomenal race all the way into and through Kaltag. As Harold Attla was following Archie Beetus out of Nulato he hit an “iceberg” and cartwheeled on his sled for three full 360 degree turns. He was able to hang on to the machine for the first two turns, but came off on the third turn. As the machine came over the third time it pancaked him and smashed him into the snow and ice. Because his studded track was still spinning, at close to 70-80 mph, it ripped his Klim gear completely off. His track dug into his back, punctured both his helmet and safety vest and only because of the quality of the mandatory safety gear, no tracks entered his body on his back or head. He was very grateful for his great gear, that is required for all racers, for protecting him from the studs on his tracks. The studs did rip his backside and legs up pretty severely. There was a large amount of blood and the people of Nulato where very concerned when they came upon the accident. Even just a few hundred miles from the finish line accidents happen, even in your own backyard. Team 28 from Fairbanks, Jason Gundersen and Josh Norum can attest to the fact it’s not over until you cross the finish line. Josh hit an ice shelf outside of Ruby and had a fractured Tibia Plateau (near the knee). 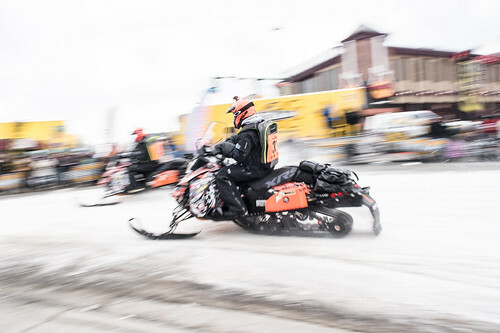 While he did not realize that was what occurred until after meeting with a doctor, when he reached Fairbanks, he knew he had overcome great pain to finish the race. From start to finish racers pushed on, persevered and went farther than expected. Sometimes the race just catches up to you. As is true for all Iron Doggers Team 12 got right back up and in just over a week, Robert is back at work and has recovered nearly his full range of motion. Team 27 is at home recovering and getting ready for the next race after scratching in Ophir. 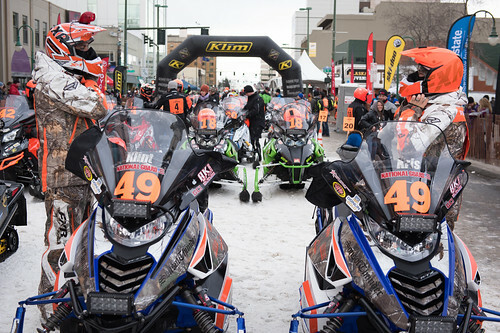 Working together as racing partners allowed Team 16 to be the first team into Nome. Claiming the Donlin Gold, Gold Rush Prize as well as the Bering Sea Lions Club fastest team from White Mountain to Nome Prize. At the finish line Team 16 came in 5th place just, 3:29:57 behind the 2017 Champions. Team 18 scratched in Puntilla, due to the flu, but they are already preparing for what will come next. Jerrod Vaughn from Team 5 was on his way to recovering when playing with his kids over the weekend added strain to his injured wrist. He is in therapy and a brace patiently, or not so patiently, waiting to race again. Team 39 kept on moving into Galena when they made the decision to scratch. Seven days and 4 Doctor appointments later Chad discovered how bad his injuries truly were. He has multiple fractures, and had to have surgery to put pins in his left hand. Even after having pulled out of the race the toughness of the racers stands out. 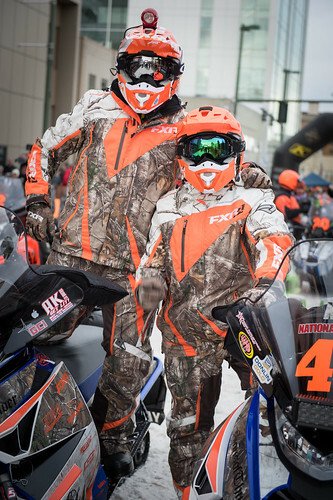 They persevered and did the best they could, having come all the way from Maine to race. Kurt and Dieter, Team 22 are both previous racers and came from the lower 48 to race. Kurt is recovering and going through therapy to get completely back to a healthy state. After being stuck in Unalakleet for a few days due to weather Team 31 is on their way home to Maine. The team is grateful for the support they received in Alaska and all the way back to Maine. Because of Josh Norum, Team 28s, accident and mechanical problems Jason took over riding his sled, even though he had cracked ribs. 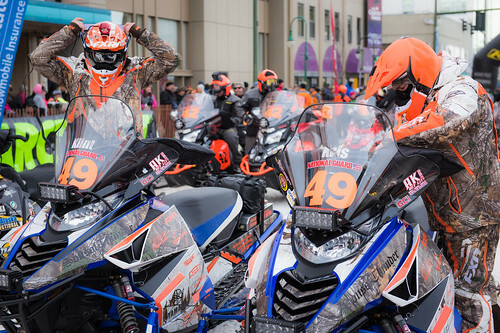 The desire to make it home, and finish in Fairbanks kept them going as they raced all the way into Fairbanks, finally taking eighth place. Iron Dog is a challenge, one many do not accomplish. Out of 35 teams who entered only 14 finished. Everyone who enters is to be admired. Those who finish are to be celebrated. What place you cross the finish line in matters less than you finished. Iron Doggers are a rare breed, all are hard working, successful, and to be admired for overcoming much adversity to reach the finish line.